The U.S. Food and Drug Administration will require more stringent labeling and postmarket study requirements for all extended-release and long-acting (ER/LA) opioid analgesics, commonly prescribed but highly addictive prescription painkillers. The new changes will hopefully help health care professionals choose the appropriate medication for their patients' needs, the FDA said on Tuesday. "The FDA is invoking its authority to require safety labeling changes and postmarket studies to combat the crisis of misuse, abuse, addiction, overdose, and death from these potent drugs that have harmed too many patients and devastated too many families and communities," FDA Commissioner Dr. Margaret A. Hamburg, said in a statement. "Today's action demonstrates the FDA's resolve to reduce the serious risks of long-acting and extended release opioids while still seeking to preserve appropriate access for those patients who rely on these medications to manage their pain." Opioid medications are intended to treat pain, but also can be addictive and lead to death if taken improperly. The treatments, which are the same class of drugs as heroin, work by binding to opioid receptors in the central and peripheral nervous systems and throughout the gastrointestinal tract. This blocks pain receptors, calms a person down and works as an antidepressant. Opioids also flood the brain with dopamine, a neurotransmitter that delivers signals to motivation and pleasure centers of the brain. The patient perceives the excess dopamine as a reward. Over time, users can become tolerant to the drugs effects and need to take more of them to get the same effect. Not taking the drugs could lead to withdrawal symptoms then causes them to dangerously want more opioids to create a stronger effect. But the drugs can also increase risk of choking, lower blood pressure and slow breathing to the point where it stops or a person slips into a coma or dies from an overdose, the Mayo Clinic notes. Drug overdose deaths have been on the rise for 11 straight years according to a recent JAMA study -- and 60 percent of those fatalities were due to prescription medications. Three out of four medication overdose deaths were due to opioid drugs. The Centers for Disease Control and Prevention (CDC) said in July that more than five times as many women died of prescription painkiller overdoses in 2010 than in 1999. 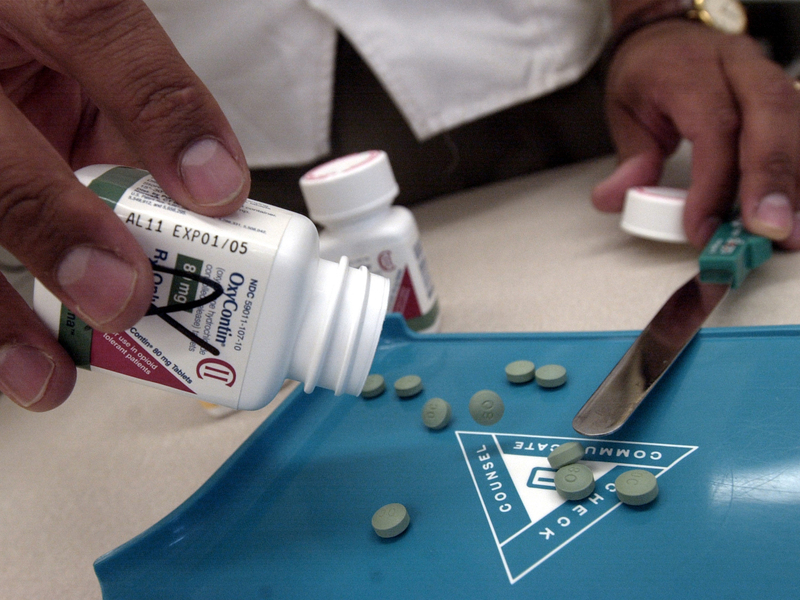 In an effort to fight the growing opioid addiction epidemic, the FDA barred any generic forms of the original form of the medication OxyContin in April 2013. The medications were often abused with people manipulating the drug's extended release qualities to release the active ingredients quicker. This lead to more adverse reactions like overdose and death. At that time, the agency also announced it would require updated labeling for the reformulated, controlled-release form of OxyContin. According to today's announcement, updated boxed warnings will indicate that use of opioids may lead to neonatal opioid withdrawal syndrome (NOWS, or neonatal abstinence syndrome), a potentially life-threatening condition in kids that needs continued management. NOWS can happen when a fetus is exposed to opioid drugs while in utero, and the baby goes through withdrawal after birth. Symptoms include poor feeding, rapid breathing, trembling, and excessive or high-pitched crying. The additional labeling will also state that ER/LA opioids are intended for pain severe enough to necessitate daily, constant long-term treatment, and only if other alternative treatments are ineffective or cannot be taken. It will emphasize that there are risks of addiction, abuse and misuse even at recommended doses. The labeling advises doctors that the pills should not also be prescribed as-needed for pain relief. "The FDA's primary tool for informing prescribers about the approved uses of medications is the product labeling," said Dr. Douglas Throckmorton, deputy director for regulatory programs in the FDA's Center for Drug Evaluation and Research, said ina press release. "These labeling changes describe more clearly the risks and safety concerns associated with ER/LA opioids and will encourage better, more appropriate, prescribing, monitoring and patient counseling practices involving these drugs." The FDA is also asking drug companies to pursue further studies on ER/LA opioids to examine their long-term effects. The goal of this additional research is to continue to look into the potential risks. Companies that currently have ER/LA opioid analgesic applications will also have to update the dosage and administration, warnings and precautions, drug interactions, use in specific populations, patient counseling information, and the medication guide portions of their drug labeling in accordance with the new regulations.